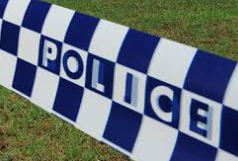 A man has been arrested following a stand-off in Coledale this morning. Police were called to the home on Buttenshaw Drive around 9 am following multiple reports from neighbours of what sounded like gun shots coming from the home. A perimeter was established, with Buttenshaw Drive closed from Cater Street south. Residents were not allowed to return to their homes during the incident and a police helicopter hovered overhead. The 40 year old man was inside the home, along with his elderly mother. He is known to police and to neighbouring residents. It has been alleged the ‘bang’s’ were fireworks which were thrown onto the front lawn. Police negotiators were brought in with the man arrested just after 11am and taken to Wollongong Police Station. Two dogs have been removed from the home and taken to the Wollongong Pound for destruction. The elderly woman has also been removed from the home and taken into the care of relatives.